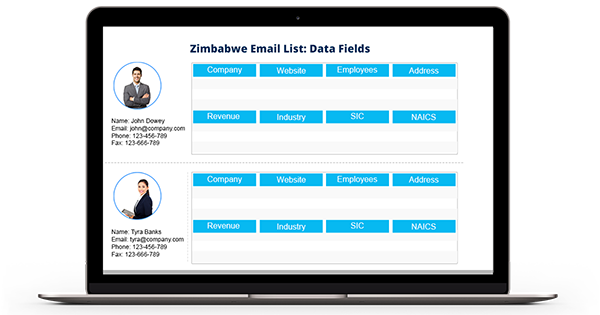 For marketers planning to run their marketing campaigns in Zimbabwe, Blue Mail Media’s Zimbabwe Business Executives Database is one of the best knowledge repositories to do the same. In view of the tough competition that exists in the market, your sales and marketing teams will perform exponentially if you power them with a reliable database. Blue Mail Media’s Zimbabwe Business Email List has been prepared to give your promotional campaigns an added boost. Our database is a comprehensive resource that gives you access to all the marketing information to connect with top decision makers, business executives and professionals across Zimbabwe via telephone, email or mail. Blue Mail Media follows industry best practices to maintain the quality and accuracy of our databases. Our team follows a stringent process of data collection, verification, and update to ensure our database remains updated at all times. Reasoned to this, our Zimbabwe Business Mailing List can help you gain impressive response rate, greater conversions and higher ROI. To give more flexibility to marketers, we provide pre-packaged as well as customized list of Email Addresses of Zimbabwe Business Executives that align perfectly with your marketing goals. Blue Mail Media has a strong presence across North America, USA, UK, Africa, APAC and other geographies of the world which allows us to serve clients in a global yet local way. For more information, call us today!